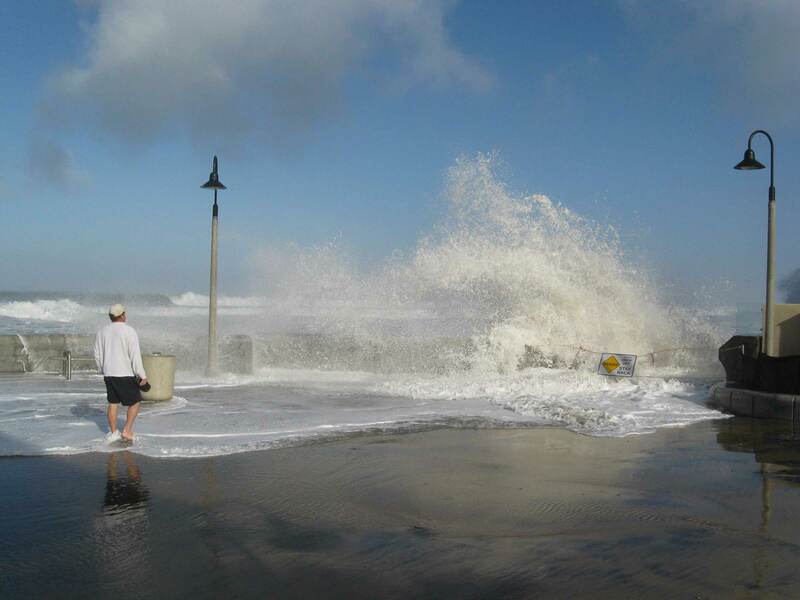 In December 2015, a large swell enhanced by El Niño conditions resulted in major flooding in the City of Imperial Beach, a low-lying coastal community south of San Diego along the U.S.-Mexico border. Barricades and barriers installed on the beach were not enough to contain the water along Seacoast Drive. During these periods of large winter swell combined with extreme high tides, the city routinely experiences flooding that impacts residents, businesses and infrastructure. It’s also considered to be one of the cities most vulnerable to sea-level rise in California. 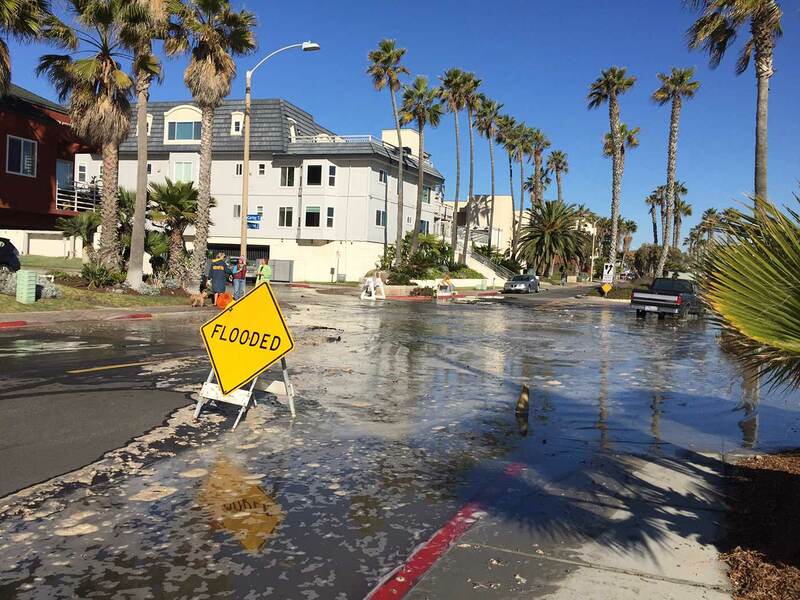 Now, thanks to a $250,000 donation from the David C. Copley Foundation, Scripps Institution of Oceanography at the University of California San Diego will help the City of Imperial Beach significantly upgrade its flood-alert capabilities and better prepare for sea-level rise. The Resilient Futures program will create a flood alert system customized to the specific needs of Imperial Beach. 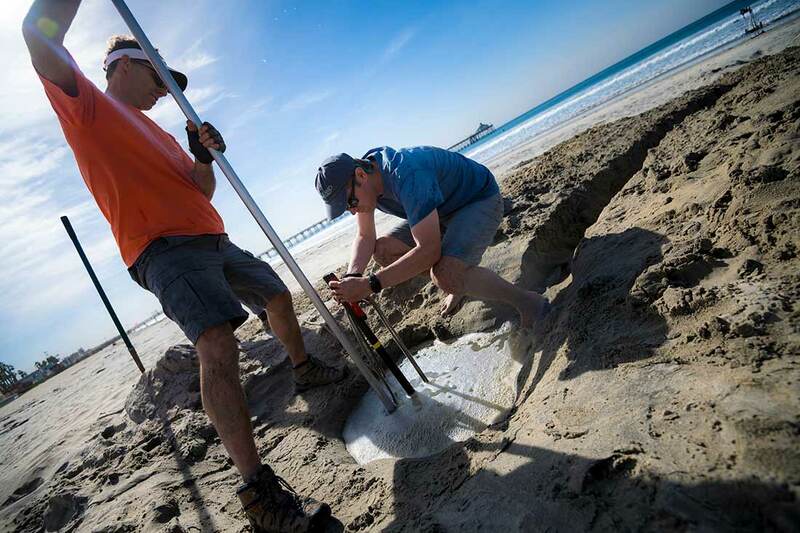 A network of instruments to measure local wave and water level conditions is being installed by researchers with the Center for Climate Change Impacts and Adaptation (CCCIA) at Scripps. These observations will improve predictive models of coastal flooding, especially where large waves and extreme tides may occur simultaneously, exacerbating flooding risk. Additional measurements will also be made to monitor flooding on shorelines adjacent to South San Diego Bay and the Tijuana Estuary. The initial funding from the David C. Copley Foundation has supported the installation by the Coastal Data Information Program (CDIP) of an offshore wave buoy at Imperial Beach to measure wave height, period and direction. 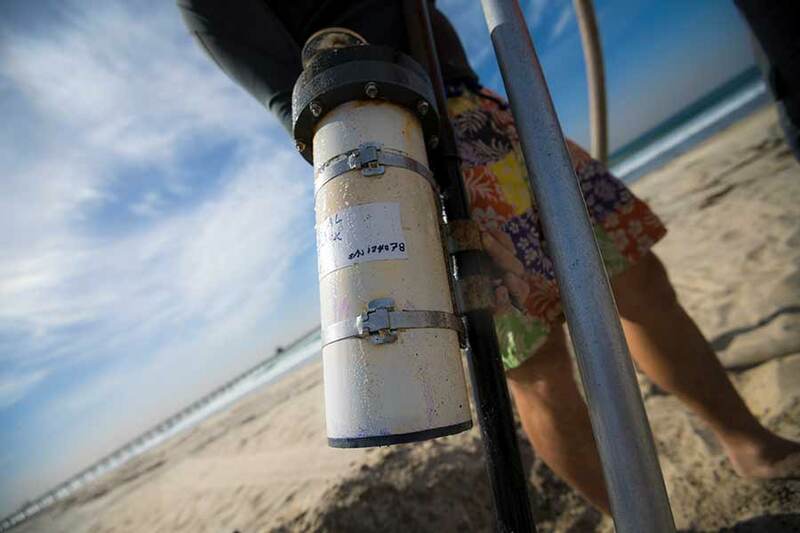 Other network components include a tide gauge at the end of the Imperial Beach Pier for accurate tidal heights and water levels; current meters and pressure sensors at 10 meters (32 feet) depth to assess nearshore wave model predictions; and pressure sensors buried in the beach at the mean high-water line to test wave run-up predictions in flood-prone areas. Scripps also plans to install an array of pressure and salinity sensors on land to assess the duration, depth and arrival times of flood waters. The funding also contributes to coastal modeling advancements that will be used to refine the flood forecasting system. “We hope to provide today’s coastal communities with better tools to track extreme events and predict risks,” said Merrifield. In 2016, Imperial Beach conducted a Sea-Level Rise Assessment to identify vulnerabilities and identify adaptation strategies. The study stated that Imperial Beach is particularly susceptible to flooding as it is bound on three sides by bodies of water – San Diego Bay and Otay River to the north, Pacific Ocean to the west, and Tijuana River and Estuary to the south. The study reviewed modeling done by the Department of Defense and U.S. Geological Survey and found that storm-induced dune erosion, coastal flooding from wave run-up, and tidal inundation were the biggest potential hazards threatening wastewater systems, pump stations, roads and oceanfront properties. “It is an honor for the City of Imperial Beach to partner with Scripps Institution of Oceanography to be the first city in California to install sea-level rise monitoring technology along our beautiful beach as part of our efforts to monitor and adapt to rising seas,” said Mayor of Imperial Beach Serge Dedina, also an alum of UC San Diego (Marshall ’87). The gift also contributes to the Campaign for UC San Diego, the university’s $2 billion comprehensive fundraising effort to empower the next generation of innovators to blaze a new path toward revolutionary ideas, unexpected answers, life-saving discoveries, and planet-changing impact. The Imperial Beach CDIP buoy was installed in August 2018, and pressure sensors will be installed in November through mid-December. More information on the Resilient Futures program from the Center for Climate Change Impacts and Adaptation can be accessed here: Resilient Futures website.